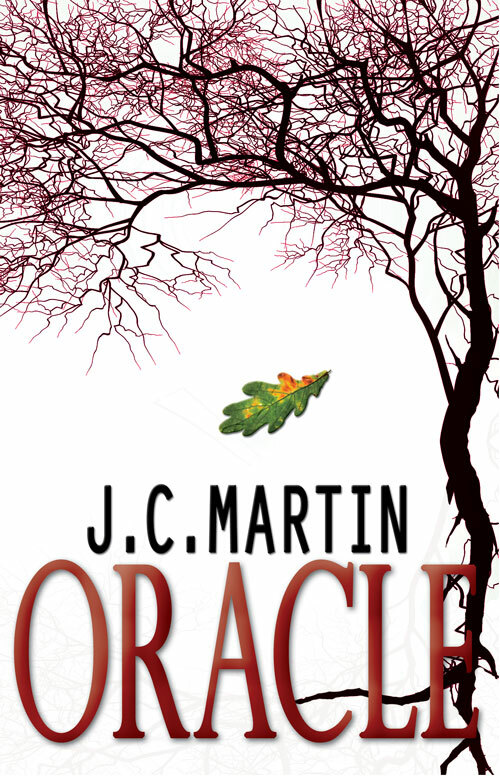 I am very excited to welcome the amazing and talented J.C. Martin today whose thriller, Oracle was released on July 30, 2012! J.C. and I were critique partners and I had the privilege of reading Oracle just before J.C. snagged a publisher. It is an incredible book. As I read through it, I had to keep reminding myself that I was supposed to be critiquing. It was just that good. Again, here is the blurb! Keep scrolling for the guest post on developing compelling characters. With London gearing up to host the Olympics, the city doesn't need a serial killer stalking the streets, but they've got one anyway. Leaving a trail of brutal and bizarre murders, the police force is no closer to finding the latest psychopath than Detective Inspector Kurt Lancer is in finding a solution for his daughter's disability. Fingers point in every direction as the public relations nightmare grows, and Lancer's only answer comes in the form of a single oak leaf left at each crime scene. For me, a good book must not just have an intriguing story, it must also have a compelling character, one who will interest me enough to invest hours of my time reading about. Literature is littered with examples of unforgettable characters: Mr. Darcy, Sherlock Holmes, and Harry Potter, to name a few. But for every memorable character, there are hundreds of forgotten ones, characters so uninteresting that readers don’t even remember their name after finishing the book. So how does one create an unforgettable character, one who will compel readers to stick around, not just for one book, but for an entire series? To quote a cliché, nobody’s perfect, so creating a character who is good-looking, smart, brave, talented in multiple obscure skills, yada-yada … is just not realistic. Giving your character flaws will actually make readers identify with them more. Even better, make these flaws an obstacle in your hero’s quest: perhaps someone with a fear of heights must walk a narrow ledge at the top of a skyscraper to access the locked room where his wife is tied to a ticking time bomb? Readers will be compelled to read on to find out just how your hero can overcome their flaws to achieve their goal. Mysterious heroes who appear out of nowhere, save the day, and disappear back into the sunset are not only unrealistic, they’re also forgettable. Giving your character a past, be it an interesting, cushy, or traumatic one, will make them more real. Does their history dictate their traits? Does it account for their unusual accent? Do they still carry scars from the past? Giving your character a back story will make them more identifiable, eliciting both empathy and sympathy from readers. A person’s opinions on certain matters can provide deep insights into his or her character. Someone with no strong feelings about anything is boring to read about. Is your hero religious or an atheist? Do they respect authority, or play by their own rules? Are family values important to them, or do they relish being a loner? Showing your hero’s opinions on certain issues is a great way to reveal their identity. Everybody has odd quirks and habits, so your character should, too. Does she chew on her hair when anxious? Does he alphabetise his CD collection? Any unusual hobbies or collections? Showing your hero’s quirks will add further relatable layers to their character. Who is your favourite literary character? What do you think makes he/she compelling and memorable? Congrats to J.C. on the release of her book! And I have too many favorite characters to list but I'll mention the ones I'm reading about now in Abercrombie's The First Law trilogy because they are some of the best flawed characters I've ever come to care about. Thank you for reading, mshatch. One of my fave current characters is Lei Texeira from the Lei Crime Series by Toby Neal. Such a flawed, complex, compelling character! Congratulations, J.C., and nice post. One of my favorite literary characters is Owen Meany. He definitely fits your list, especially numbers 3 and 4. Thank you, Jeff. A quirky character with strong opinions is always compelling to read! Congratulations to JC! One of my all time fab characters is Jo in little women. A timeless classic for me. Thanks, Pat! Yes, Jo is definitely a classic timeless character. Good choice! I must say my favourite timeless character (as a mystery writer) is none ither than the great detective Sherlock Holmes. Great points! I'm going to have to think about this one. Congrats JC!!! Also, Lisa, I take one month off from the blogosphere and your blog blows up!!! Good for you young lady! Good to know I'm doing something right. I've read way too many good books to pick my favorite character, but you're absolutely right, it's the characters that make me hang around & keep reading. Great post! I totally agree good novels are all about the characters. Great tips here. Thanks! This book sounds fantabulous, esp. since I am all about the Olympics right now. Great post! Great tips! I guess it would've helped if I had left my email when I said to drop me a line if you needed help promoting your book Lisa :) It's voice_ways@yahoo.com. You Tell Me: What Do You Look For In A Blog?